This is an ENTIRE Writers Workshop Informational Essay Writing UNIT Grades 3-5 that will take you through 3 weeks of school (15 school days (15 lessons) that might last longer depending on your students). 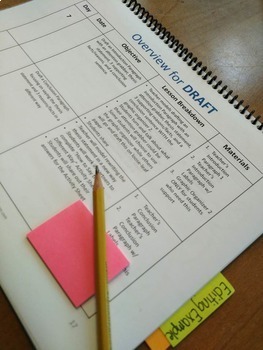 From Brainstorming to a Rubric to grade final pieces with, this has everything you need. I uploaded this informational essay unit after I used it in my classroom, and can say that it is a successful set of writing lessons that will take you through each step of the writing process without having to create or plan anything. It is all done for you! 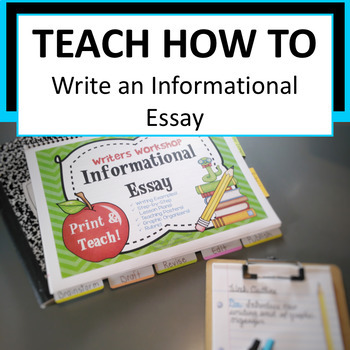 I know there are plenty of times when teaching writing can feel very overwhelming and my hope is that this informational writing essay unit will help alleviate that feeling. The writing lessons are each laid out in a way that is easy to read and super easy to follow and allow you to implement your own teaching craft. All of the writing materials are included, therefore, you can simply print and teach. You can begin this writing unit tomorrow, if you'd like! PLEASE NOTE: If you are unable to view the preview in the box that shows up, click on the "down" arrow at the top right of the box.